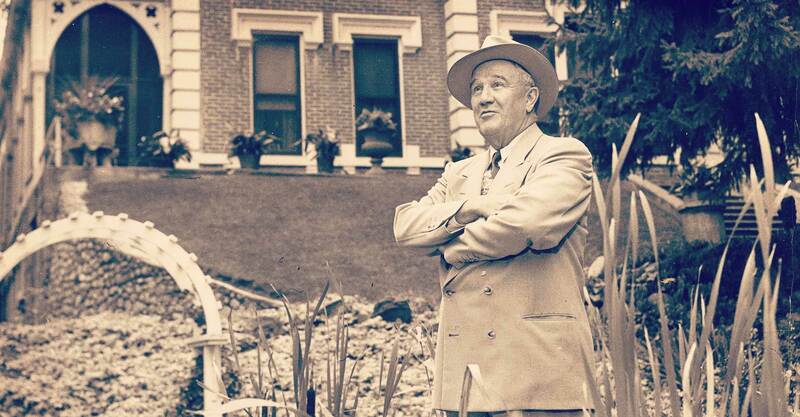 Our story began long before 1860 with a man named August Schell. From his birth, his move to the States, and even co-founding New Ulm. We all start somewhere and Schells' story started right here. August Schell was born on February 15th, 1828 in Durbach, Germany in the Black Forest. His father was a Forester by trade and their family crest featured a buck deer and is the same crest we use on all of our packaging today. He studied as a Machinist in Germany before deciding to make the move. By way of steamer ship, August sailed to New Orleans and then made his way up the Mississippi river, settling in Cincinnati. He worked for the Cincinnati Locomotive Works as a Machinist and began courting a young gal he fancied, named Theresa. August and Theresa were united in marriage on March 7th, 1853 and get working on starting a family. They welcomed their two oldest daughters before deciding that Cincinnati wasn’t their final destination. Many of the members in the Turner Colonization Society of Cincinnati were struggling to adjust to a life there, so they set out via river boat to see what else was out there. Led by Wilhelm Pfaender, they arrived in New Ulm and in 1857, the town of New Ulm was incorporated by an act of the Legislature. August took a job in a flour mill grinding and repairing. Backbreaking hard-work and the creation of four more children made August thirsty. 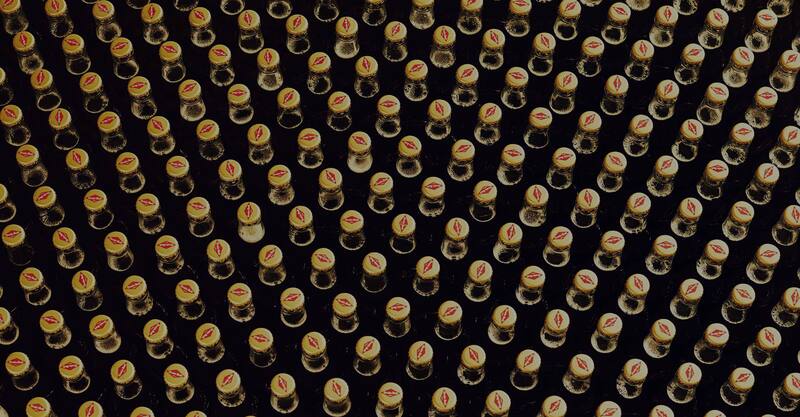 All it took was one thirsty German, a brewmaster, and a lot of passion. Look what he started! A legacy began when the first brick was laid and we haven't turned back since. August’s quest for a good German beer wasn’t fruitful, so the next resort was to make his own. Unfortunately, being a thirsty German doesn’t necessarily qualify you to brew beer. 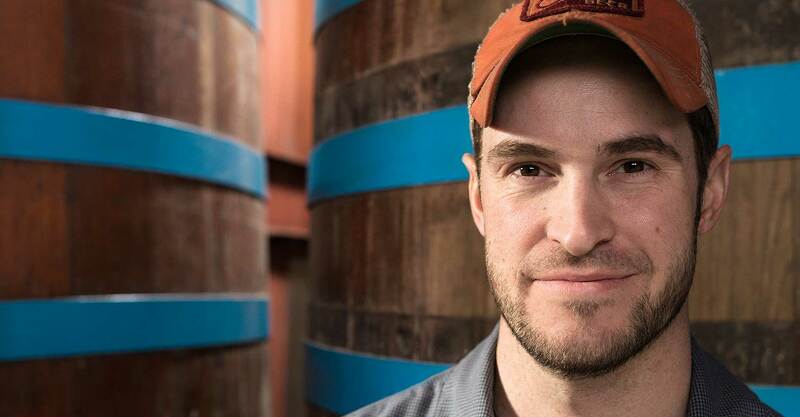 Jacob Bernhardt, a former brewmaster at the Benzberg Brewery (which became the Minnesota Brewing Company), partnered with August to build a small brewery along the banks of the Cottonwood River just a couple miles out of town. The annual production for their first year was 200 barrels. Southern Minnesota and New Ulm became the focal point of the “Sioux Uprising” or “Dakota Conflict”. A lot of violence ensued and the majority of the buildings in New Ulm were either burned or ransacked. As good fortune would have it, the brewery remained untouched due to the kindness of the Schell family. Theresa often gave them food and they may have sampled a beer or two. Jacob Bernhardt became very ill and decided it was time he sell his share of the brewery. August wanted to guarantee that Jacob was able to command as high of a price as possible so August took a gamble and put the entire brewery up for sale. With his winning bid of $12,000, August became the sole owner of the brewery. August and Theresa were busy raising their children, the brewery was flourishing, and August was stricken with severe arthritis that caused him to slow it down a bit. As the years passed, his arthritis worsened, but August didn’t want to leave the brewery. With August’s arthritis, managing the brewery proved to be a difficult task. Adolph, the Schells’ eldest son assumed the everyday management tasks and their youngest son, Otto, became the bookkeeper. It was hard for August to slow down as he very much enjoyed the hustle and bustle of the brewery life. The Schell’s mansion is a beautiful home that sits on the brewery grounds. When building the mansion, they decided to design some formal gardens and a deer park, all of which still exist today and are on the National Register of Historic Sites. As August’s arthritis worsened in his last years, he very much enjoyed sitting in the gardens and watching the deer and brewery activity. At the age of 63, August passed away on September 20th. Theresa became the owner of the brewery, but the sons were still running operations. Adolph was managing the brewery at the time, but proved to be no match for the Minnesota cold so he moved his family to California. Otto then took the reins as manager of the brewery. When Otto became manager, he had a lot of ideas for how the brewery could succeed. His years at the helm were spent improving the brewery in many ways including expansion projects, refrigeration, and purchasing new equipment. Business flourished under his wing and the many risks he took, paid off for the brewery. Otto realized that the playing field was getting tougher with more breweries popping up in the New Ulm area. Schell’s was producing about 9,000 barrels per year, but with expansion would be able to more than double that production. Taking the risk, Otto modernized and expanded the brewery and upgraded machinery. Expansion created the need for more help around the brewery so Otto summoned his sister, Emma, and her husband, George Marti, to return to the brewery to help with the operations. After 18 years in West St. Paul, owning and operating a drugstore, George obliged and returned with his wife and kids. Brewing was hard work, especially when you take the fermenting process into account. The Cottonwood River was not only transportation, but also refrigeration. Ice was harvested from the Cottonwood and hauled to the underground caverns deep beneath the brewery. The beer aged in there until the ice started to melt in early summer. That was, until refrigeration. Life got a lot easier in 1900 and the brewery was finally able to brew beer year-round. August Schell’s Beer Brewery became known as the August Schell Brewing Company. Even though Otto had been managing the operations for many years, it wasn’t until 1902 when The Board of Directors officially declared Otto Schell as President. Theresa Schell retained ownership of the brewery at this time, but was named as Vice-President, and George Marti as Secretary and Treasurer. On January 14th, Otto suddenly died at the age of 49. The town was stunned as Otto and his family were very active members in the community. Ailing and grief stricken, his mother, Theresa passes away just four months later. After Otto’s death, George Marti was appointed President and the operation of the brewery has remained in the Marti name ever since. George and Emma’s son, Al, returned to the brewery in 1913 to become a bookkeeper. After about a four year stint at the brewery, he decided to move his family to Scobey, Montana. In a partnership with his brother, Edward, they operated a grain farm and became cattle buyers. In 1919 a nationwide ban was placed on the production, importation, transportation, and sale of alcohol. Alcoholism and family violence were prominent back then so the 18th Amendment was a conscious effort to rid the issue. With the implementation of the 18th Amendment came great challenges for the brewery. Production of beer was illegal which made it quite difficult to sustain a business predicated on brewing alcoholic refreshments. Prohibition banished happiness in all the land and dried up the country, or so that’s what they made it seem. It’s challenging keeping a brewery up and running when you can’t legally produce beer. The brewery began producing near beer, soft drinks, and candy to keep the equipment running in hopes that one day they could transition back to the beer. Near beer typically contained less than 0.5% alcohol and was made purely to replicate the taste of the beer everyone craved so much. Near beer didn’t quite cut it for the thirsty Germans at the brewery, or anywhere else for that matter. They operated a secret brewery in the basement to produce beer for the workers to keep their sanity. Speakeasies began popping up all over the country as a way for people to sell and consume products illegally. After being in Montana for a few years, Al decided to pack up and head back home. The brewery was struggling amidst Prohibition so he returned to become a Salesmen and help his father and family business. Brewery doors were closing left and right, but the perseverance of the family kept them going. The 21st Amendment was ratified on December 5, 1933. It effectively repealed prohibition and restored happiness in the country. At the beginning of Prohibition, there were 1900 breweries. By the end, there was only 600 left and Schell’s was one that weathered the storm. Because the machines had remained in operation through the years, it made the transition back to brewing beer that much easier. Prohibition had taken its toll on many breweries, including August Schell Brewing Company. However, we were among the fortunate enough to keep our doors open. Brewing traditions resumed and business was rebuilding. Our brewery and the Hauenstein brewery both survived Prohibition showing the strength of the New Ulm community. On March 22nd, George passed away at the age of 77 leaving the brewery to Emma. Their oldest son, Al became the Vice President and manager of day-to-day brewery operations and their youngest son, Edward, became a Brewmaster. After Emma’s death on May 2nd, Al was appointed President. Prior, Al was already the Vice President and primarily responsible for managing the day-to-day operations. Al was known as the fun-loving sort who enjoyed music almost as much as the beer he brewed. A hobby that was passed on from his father, George. Al’s passion for music became a hobby in 1948. He gathered some musicians together and began sponsoring the crew’s music. They were fondly named the Schell’s Hobo Band. Best known for their circus-style music, as well as their antics, the band became famous through the years and still entertain crowds, young and old, to this day. Al officially gave up his role as President, but he far from retired. He remained active at the brewery up until his death in 1977. His son, Warren, assumed the role of the brewery President after years of working in miscellaneous positions. He was considered the “Jack of All Trades” because he started as a gardener, was a bottlehouse supervisor, salesmen, bookkeeper, and brewmaster. Before returning to the brewery, he was also a World War II Veteran and teacher. Throughout the years, the Schell's family faced adversity. The light beer craze. Disco. Low-carb diets. Their brewing tradition persevered and as the brewery evolved, so did the beer. This era brought about large victories at times, but sacrifice at others. True in American pioneer spirit, Schell's challenged traditional German brewing ideals while simultaneously paying homage to its roots. The beer industry was continuing to evolve and Warren brought about some changes that are still present in our brewery today. Warren introduced Schell’s Export, Schell’s Light, and began contract brewing 1919 Root Beer for Arneson Distributing. This was also the era where collecting beer cans became prominent. A new venture began at the brewery in 1974 in the form of hydroponic gardening. Warren invested heavily and built a large operation on top of the hillside to grow tomatoes. Ted, one of Warren’s sons, returned to the brewery to manage the gardens. Some of the brewery workers would come in early to tend to the tomatoes before their shift in the office. Many new breweries had started up after Prohibition and brewery numbers were climbing, until the 1970s got ahold of them. Many small breweries met their fate and boarded up their doors. Mega breweries were dominating and the little guys fell off the map. Warren’s persistence kept the brewery thriving. The struggles continued for the brewery and the doors were all but ready to close. As fate would have it, the very grounds where August chose to lay his first brick was the saving grace the brewery needed. Schell’s cut down a massive black walnut tree that was on the brewery grounds and sold the lumber as a last ditch effort to keep the doors open. After that, things slowly started getting better. Schell's was the first brewery in the Minnesota to start producing craft beers. A few were created in the 80s, but most followed in the 90s. The craft beer phase had officially started and Schell's was at the forefront with the German craft lagers. After studying under several breweries in Germany, Ted led the charge to bring craft beer to Minnesota. In 1984, Schell’s made the first wheat beer after Prohibition, a recipe which has transformed into our seasonal Hefeweizen brew. Several different craft brews were introduced at this time. Ted had spent most of his upbringing around the brewery and he had extensive studies including studying under several breweries in Germany. His entrepreneurial leadership, and skills as a brewmaster, with the introduction of craft beers was the reason a brewery so small was thriving amongst a “mega-brewery” dominated market. The crafts that were brewed in the 80s were so well received that the brewery wanted to create a whole line of specialty beers and it didn’t take long for many of them to become medal winners. Among them were the Alt and Pale Ale. Ted’s reputation in the industry grew and others became interested in contracting their brews through Schell’s. Of the 38 brews being produced at Schell’s, 16 of them were contracted and sold under different names. Business was going well and people were enjoying the German craft lagers, but these were no longer the days of 200 annual barrels of production. A new state-of-the-art brewhouse was built into the hillside in an effort to increase capacity and efficiency. Four stainless steel kettles were imported from Germany as an ode to the strong German tradition. 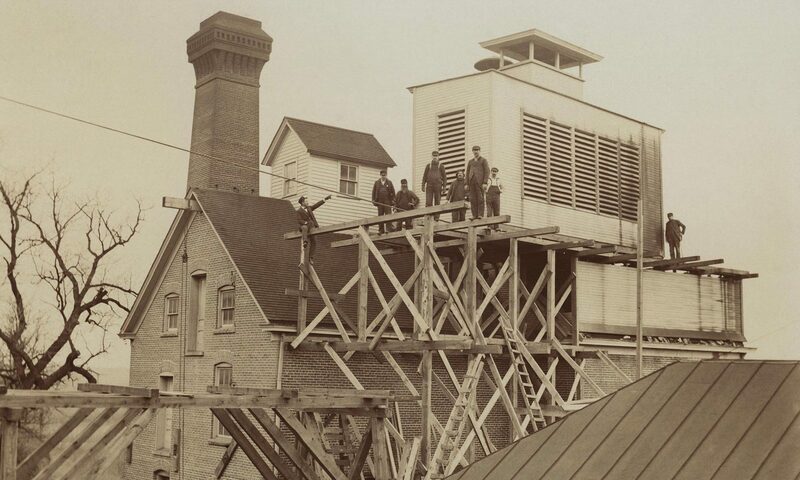 As the page was turned on the millennium and 140 years of business, Schell’s was thriving. With the introduction of craft beers and many other improvements around the brewery, the possibilities were endless for a fruitful future. In 2002, Schell’s made the largest investment in company history with the purchase of Grain Belt Beer and many other new ventures followed. The legend continues, one bottle at a time. A hometown beer, a household name, Grain Belt, was on the brink of extinction when Minnesota Brewing filed for bankruptcy. Just a few months after the doors were closed, Schell’s made their biggest purchase to date, the Grain Belt label. What was once a rivalry, was now a friendship. Schell’s and Grain Belt proudly represented in the same house. The purchase made Schell’s the largest brewery in Minnesota in terms of production. Increasing demands for space in the current hospitality areas led Schell’s to decide the brewery was in need of a Visitor Center. In 2005, the Museum of Brewing was expanded and a Gift Shop and Taproom were built on. The old taproom became an employee break room and the old gift haus was transformed into staff offices. After spending much of his time at the brewery, Jace began homebrewing and knew that being a Brewmaster was a good path for him. He studied in Germany and Austria before returning to the brewery with some new ideas. Jace became passionate about sours and started our Noble Star Collection just a couple years later. Berliner Weisse beers are a traditional wheat beer that often is known as a “sour beer”. Original wooden tanks from the brewery, built in 1936, were reconditioned with this project in mind. The wood allows the beer to breathe just a little bit, something that is particularly helpful with this style. The first beer in the collection, Star of the North, was brewed in 2012 and officially released in 2013. 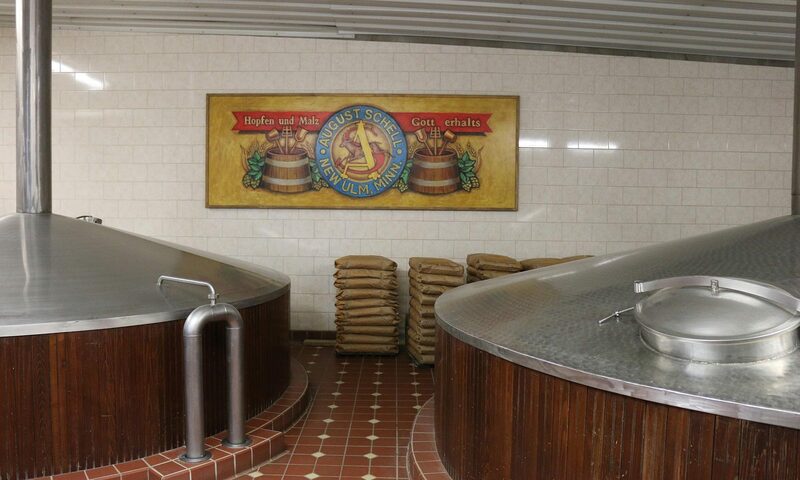 Due to the nature of the beer, it is ideal for it to age in a separate facility from the remainder of the styles. Schell’s purchased a piece of land on the North end of town to house the beers and serve as a taproom for the public. The taproom opened in 2017 and affords visitors the opportunity to enjoy a sour from the collection right next to the ten cypress tanks that are aging the future releases. Because New Ulm is nestled amidst many acres of farm land, a unique partnership idea sprouted with a local farmer. An idea that transpired into reality over a few beers, afforded an opportunity to grow barley within 15 miles of the brewery. Fort Road Helles debuted in the summer sampler pack as the first beer made at Schell's with 100% locally grown barley. Fifteen years after purchasing the Grain Belt name and many trials and tribulations in acquiring the sign, the sign that stood so tall in the Minneapolis skyline since the 1940s was restored and the switch was flipped. The Grain Belt sign is once again lighting up the neighborhood and a ceremony was held to commemorate the historic moment. Want to see Schells' history in person? Check out our tour information.